A better connection between city and Rhine – that’s why Arnhem decided to try placemaking. The city is engaged in large-scale placemaking and is putting major emphasis on communication and collaboration. Arnhem, a city that currently has 150,000 inhabitants, was founded in the Middle Ages on the Jansbeek, a stream flowing from the hills of the Veluwe to the Rhine. The stream’s hydropower was used to operate the paper mills that drove Arnhem’s development in those days. For centuries the Rhine flowed a few kilometres south of the city. In 1530 the river’s course was diverted northwards so a toll could be levied. When Arnhem grew in later years, the Rhine essentially became the city’s rear side. Urban sprawl in the 21st century took place primarily south of the Rhine. Apart from being the city’s rear side, the river also became a barrier between the northern and southern city districts. One of Arnhem’s foremost ambitions is to make better use of the Rhine’s huge potential (the Rhinegold) and to turn the river into a link rather than a barrier. That’s a huge task because the river banks are some 15 kilometres long. Arnhem therefore opted for a gradual approach that accorded placemaking a prominent role. In recent decades emphasis was placed primarily on connecting the inner city with the Rhine. The accent is now shifting to the river banks opposite and on both sides of the city centre. 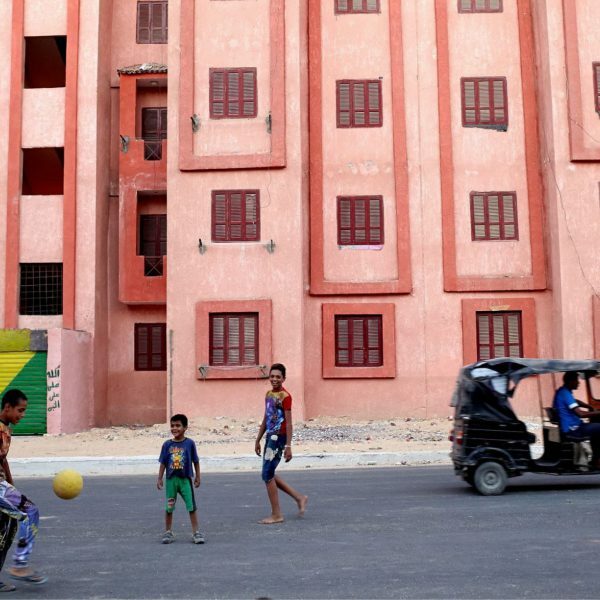 The aim of placemaking is to create fertile ground for future developments, both small-scale temporary projects and long-term area developments. Arnhem is not proceeding on the basis of a rigidly defined plan, but has opted for the process of placemaking. In addition to concrete placemaking activities, this also comprises the establishment of a network and communication trajectory. A Rhine Group has been set up, comprised of parties associated with the Rhine. They all have Arnhem’s interests at heart. This group includes project developers, a rowing club, creative entrepreneurs, cultural institutions and the municipality, among others. The group meets several times a year to share information and to brainstorm. The idea is that the group’s large network can lobby effectively for a better connection between Arnhem and the Rhine. What’s more, it gives the participating parties a chance to be actively involved in placemaking. Communication is another important pillar. It can make a broad public aware of the beauty of the river and all the possibilities it offers for a variety of activities. The Rhine Group and its network use social media to publicise what’s happening along the Rhine. Many communications are of a personal nature, such as videos from Arnhem residents involved in recreational activities on and around the river. Arnhem has a relatively large number of creative entrepreneurs who organise cultural activities and festivals. They’re at the heart of placemaking along the Rhine. The municipality supports their initiatives with subsidies and uncomplicated licensing procedures. That results in more and more reasons for spending time along the river banks. Many events have been organised along the river in the past years, such as a quayside market, quayside days, city beaches, a circus theatre and several festivals. Moreover, during the summer months there is a ferry service between the city centre and Stadsblokken, the green heart on the opposite side. These activities have changed the mindset of residents and visitors. In the past, the river was hard to find and uninviting, but nowadays increasingly more people come to the river banks for recreational activities. Slowly the river is connecting Arnhem North with Arnhem South. 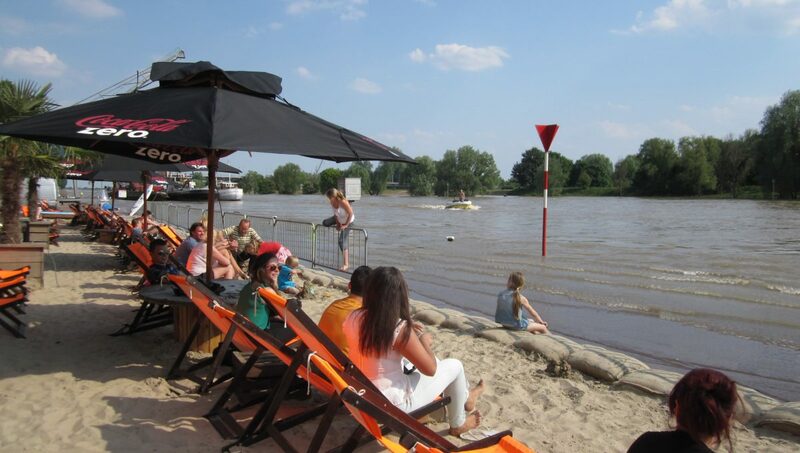 The old function of the Rhine Quay is coming back to life during the annual quayside days. Visitors can admire magnificent old ships, steam and other ship engines, and learn about maritime crafts such as sail making, net mending and rope splicing. The city also received a historical harbour crane as a gift, which occupies a prominent place on the lower quay. Quayside markets were organised several times a year and the area between the two Rhine bridges became a kilometre long flea market. Residents sold special goods at those markets, and visitors could enjoy live music and cultural acts. And since a few years, a hospitality establishment has been operating a successful city beach on the lower quay. Part of the Stadsblokken area will be transformed into green festival grounds in the future. In the meantime, several cultural events are already being held there every year. Festival De Luie Hond and Cirque de la Liberté are attractive examples of events that create a link with the water. The river provides a magnificent setting. Since these activities draw large numbers of people, they get to see the city from another perspective. Indeed, Arnhem looks quite different viewed from Stadsblokken and reveals a unique urban character, something that was only known to ‘the happy few’ until recently. The plans are to build a historic harbour in the area. A small hospitality pavilion with a workplace is already operating in anticipation of the harbour’s construction. 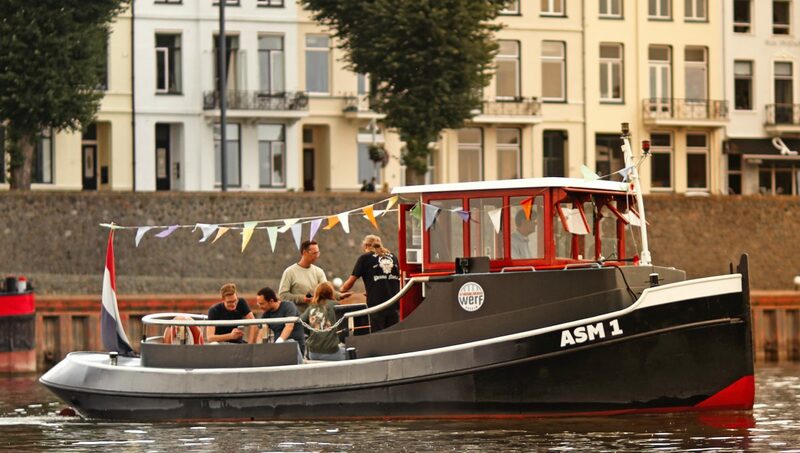 There will be a ferry service between the city centre and Stadsblokken during the summer. The ferry will also help to ensure that the Rhine doesn’t divide but connects. The experiences with placemaking in Arnhem have been very positive so far. 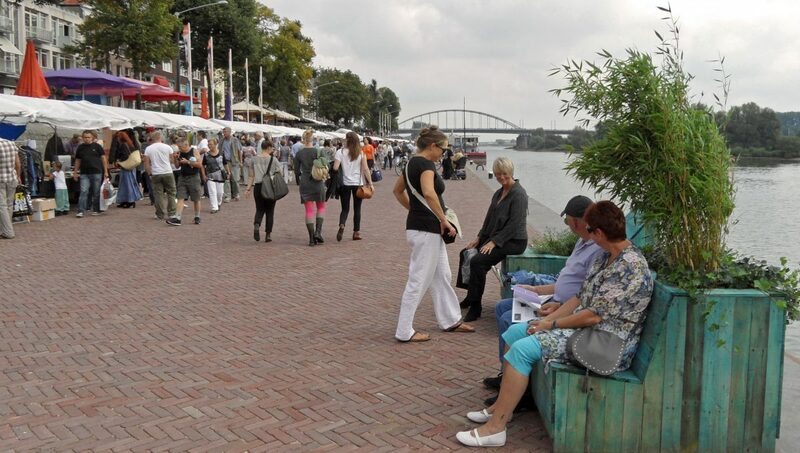 The initiatives and activities draw Arnhem’s residents to the Rhine and bring the river and the city together. An atmosphere has been created that is conducive to collaboration, adventure, ambition and fun. The city of Arnhem believes that placemaking has created a location where people enjoy staying, which previously was not the case. 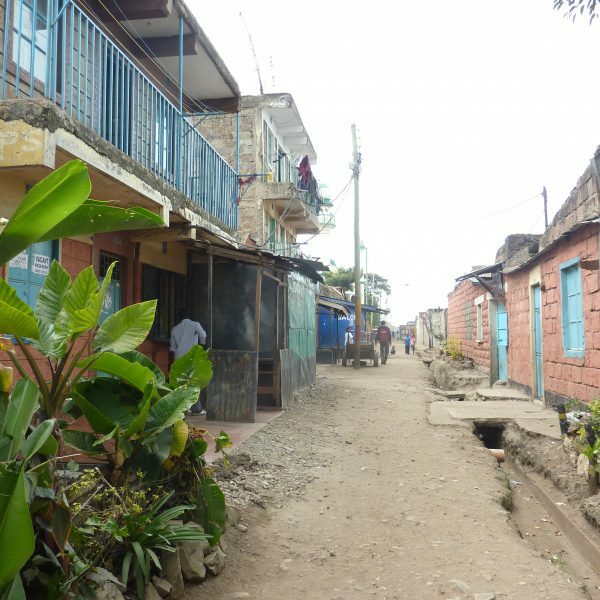 Placemaking has revealed the qualities of an area with potential. It lures people there and enables them to experience a formerly undiscovered spot: sometimes still slightly rough and industrial, but always authentic and with a touch of adventure. Placemaking lets you look at a city with fresh eyes. It’s a harbinger of something new and radiates the energy of a city that moves forward.